According to statistics from the National Highway Traffic Safety Administration, around 300 fatal bus accidents occur each year on U.S. roadways and highways. Given the vehicle's large size, substantial weight and, in many cases, the lack of safety belts, bus crashes have a high potential for causing severe injuries or death. If you or a loved one has been a victim of a bus accident, the first step is to partner with an experienced and effective motor vehicle accident attorney. When you have a lawyer fighting for your rights, you can focus on your health and healing without worrying about financial stress. Why Do You Need a Bus Accident Attorney? While a standard car crash involves just two drivers and perhaps a couple of passengers, a bus crash typically involves the driver, the drivers of the other vehicles, numerous passengers, schools, churches, the manufacturer of the bus and its components, the management company that operates the bus and/or possibly government agencies. With so many parties and insurance companies to manage, it would be virtually impossible for a non-attorney to handle the entire process and obtain the settlement to which they are entitled. After a bus accident, you only have a limited amount of time to file a claim. The claim process depends on many different factors, including whether the bus is privately owned or part of a public transport system. Your attorney can help you navigate this complex process and ensure that you don't miss any important deadlines that could jeopardize your settlement. 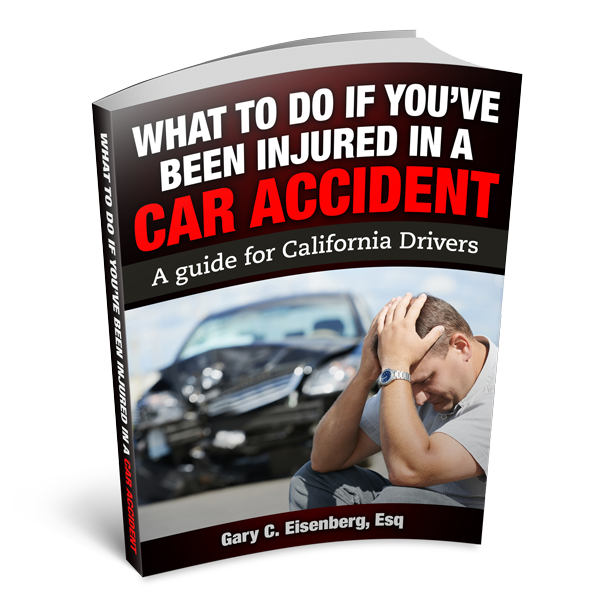 Why Choose GCE Law as Your Vehicular Accident Attorney? At The Law Offices of Gary C. Eisenberg, we have more than three decades of proven experience in personal injury law. After originally starting his career representing insurance companies, Gary changed his path to fight for injured people. Our Calabasas personal injury attorneys are highly knowledgeable in handling even the most complicated bus crash cases. If you or a loved one is facing medical expenses, loss of wages, pain and suffering or other losses as a result of a bus crash, contact us today for a free, no-obligation consultation. We will fight for your rights, protect your best interests and help you obtain the maximum compensation to cover your medical bills, physical therapy, physical pain and suffering, inability to participate in enjoyable activities, lost earnings, mental distress and other losses. It's always our initial goal to win a generous settlement, but we're not afraid of arguing your case in court if needed.